SquigglyTwigs Designs: Tuesday's Tute: Silk Flower...Hair clips or pins! Tuesday's Tute: Silk Flower...Hair clips or pins! 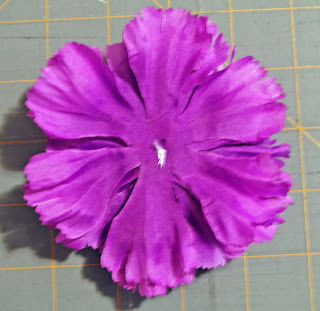 The larger, fluffier flower was made from two silk flowers stacked together. 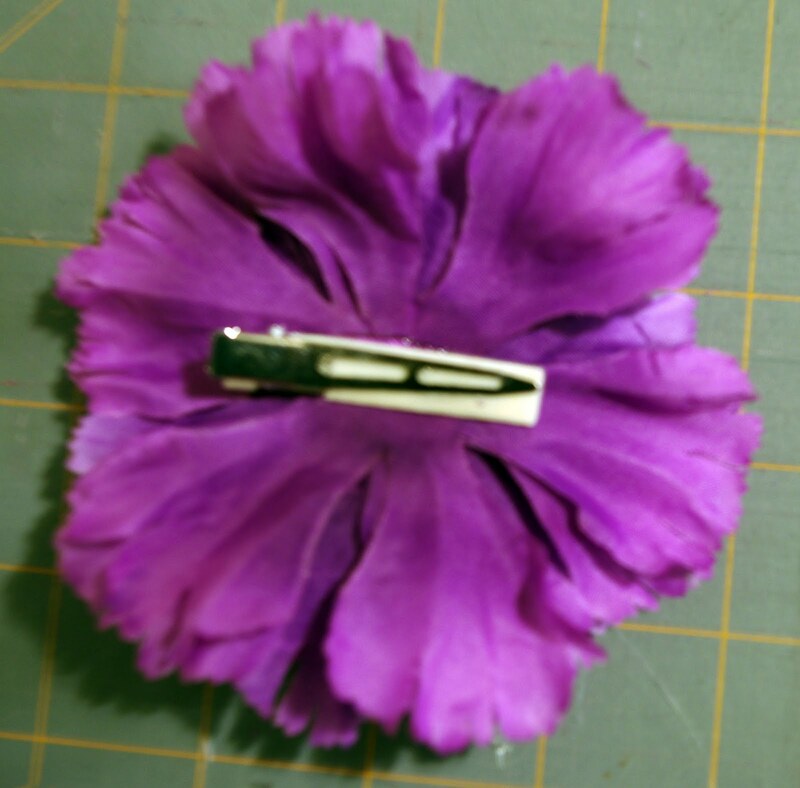 Flower pins and hair clips are so popular right now. Use it as a broach, on a headband, or clip it in the hair or on a purse. There are many places you can use this little accessory most anywhere. 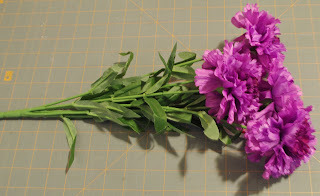 They are very easy and inexpensive to make. 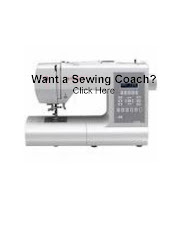 All it takes is a few hand stitches and a bit of glue. 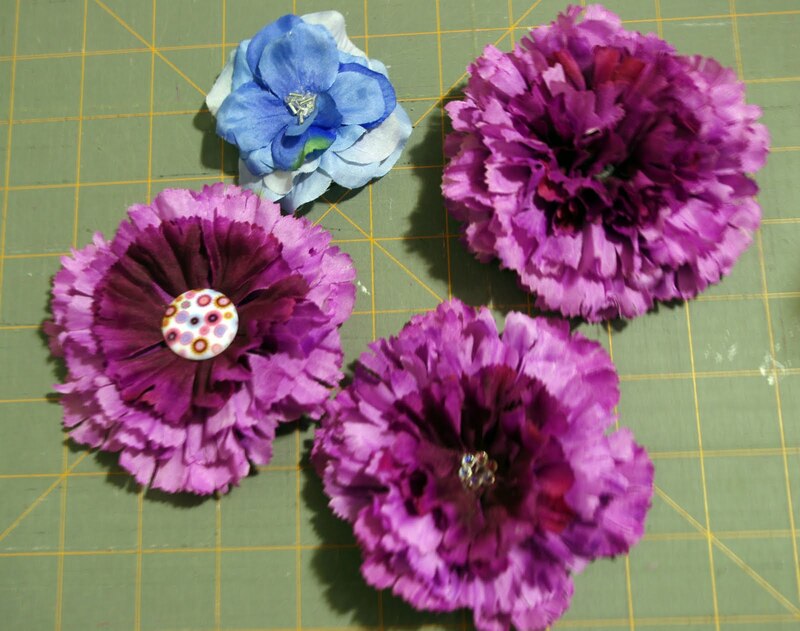 The supplies are easily found at any craft or discount store. 1. Start with the bunch of flowers. 3. Pull apart the flower, removing all of the plastic parts. 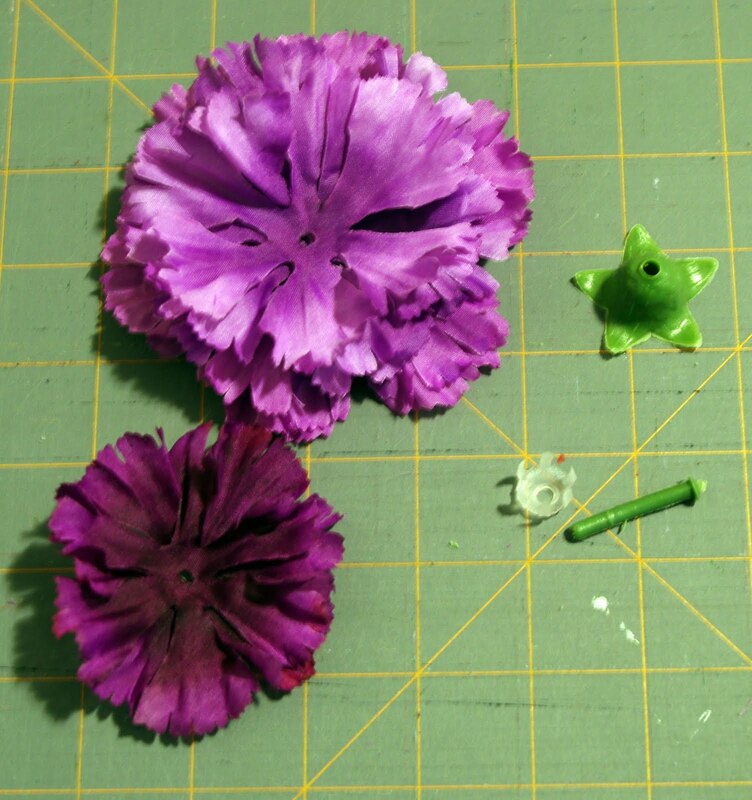 Toss away the plastic parts and keep the petals. 4. Stack the petals and stitch them in the center. 5. 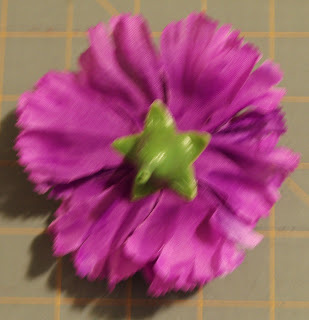 Glue the clip or pin to the back of the flower, and the center to the front (sorry no picture for that). I just wanted to say thanks for so many great tutorial. I posted to several of them on my blog. Love, love, love them!